EFFECT: This card cannot attack if you control no other "Gagaga" Monster. Also, once per turn, you can activate this effect by removing from play 1 Monster from your Graveyard. The Level of all "Gagaga" Monster you control becomes the Level of the Monster, that was removed from play for the activation of this effect. 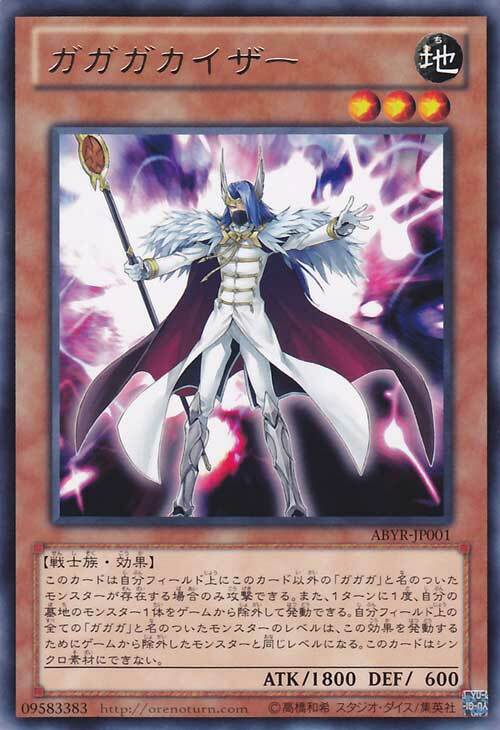 This card cannot be used as Synchro Material Monster. EFFECT: Activate this effect during either player's turn, when an attack is declared involving this card and an opponent's Monster. Battle Damage to both player from this battle becomes 0, and after Damage Calculation, that opponent's Monster is destroyed. EFFECT: When this card on the field is destroyed and sent to the Graveyard, you can Special Summon this card from your Graveyard in face-up Defense Position. 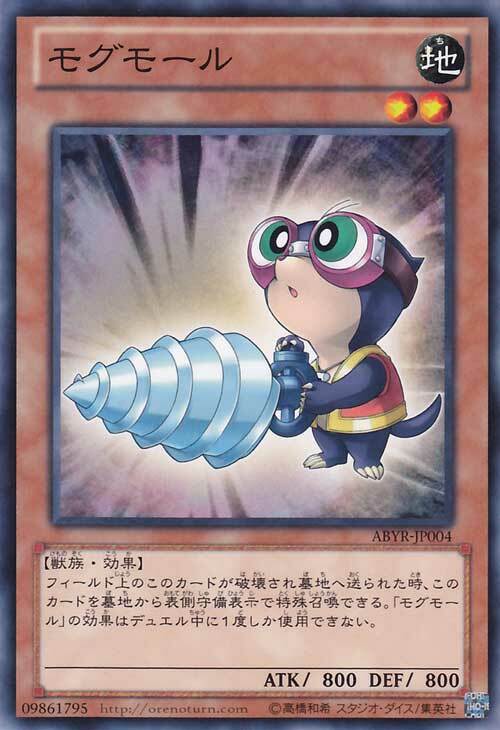 The effect of "Mogumole" can only be used once per duel. an ok card i feel that they were trying to replace what we have lost. EFFECT: If your opponent controls a Xyz monster, you can Special Summon this card from your hand in face-up Attack Position. EFFECT: Once per turn, you can activate this effect by discarding 1 WATER Monster from your hand, and selecting 1 Monster in your or your opponent's Graveyard. Return that Monster to the top or the bottom of the owner's deck. 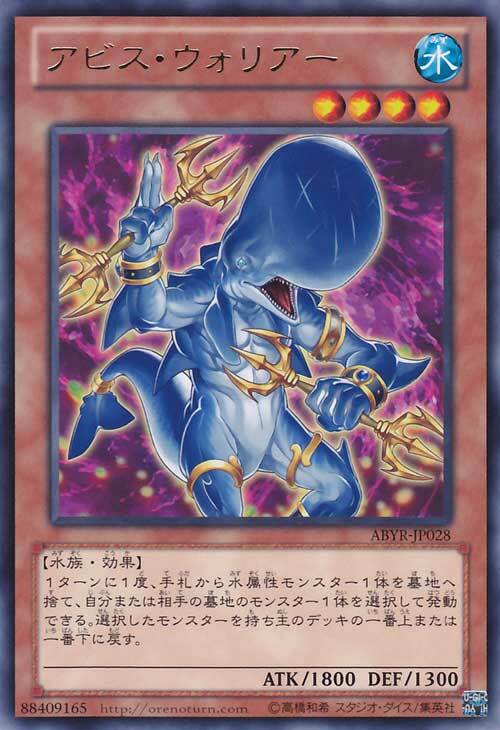 This could be a good side deck card for water decks, also you could use it to control the game making your opponent top deck a useless card. this card seems like it would go really well with atlanteans. EFFECT: You can activate this effect when this card is successfully Normal Summoned, Flip Summoned or Special Summoned. Place a number of Ice Counter on face-up monster your opponent controls equal to the number of WATER Monster you control. If 3 or more Ice Counter are placed by this effect, you can also select 1 card your opponent controls and destroy it. EFFECT: When this face-up card on the field changes its Battle Position, send 1 WATER Monster from your deck to the Graveyard. This effect can only be used once per turn. why do they keep making weaker versions of armageddon knight? EFFECT: You can activate this effect by removing 1 Xyz Material from this card, and selecting 1 Xyz Monster your opponent controls. This card is treated as having the same name as the selected monster, and gains the same effect(s). This effect can only be used once while this card is face-up on the field. 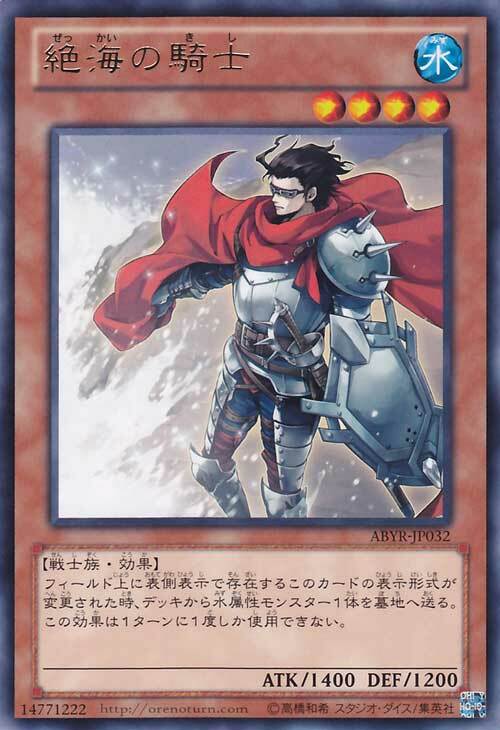 ● Attack Position: During the Damage Step of this turn when this card attacks an opponent's monster, this card gains 1000 ATK, and that opponent's monster loses 500 ATK. ● Defense Position: Inflict 800 Damage to your opponent's Life Points. When a Level 4 or lower Monster(s) is Special Summoned to your opponent's field, you can remove 1 Xyz Material from this card to destroy that Special Summoned Monster(s). This effect can only be used once per turn. Once per turn, you can activate this effect by removing 1 Xyz Material from this card. Negate the activation of a Trap Card and destroy it. Afterwards, this card gains 500 ATK. 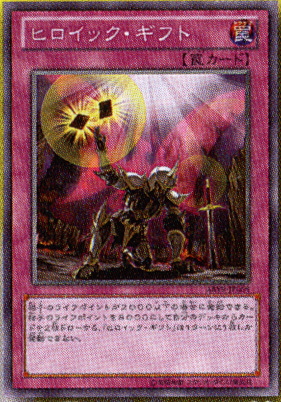 You can activate this effect once during the Battle Step this card with Xyz Material(s) is attacked. Negate that attack. 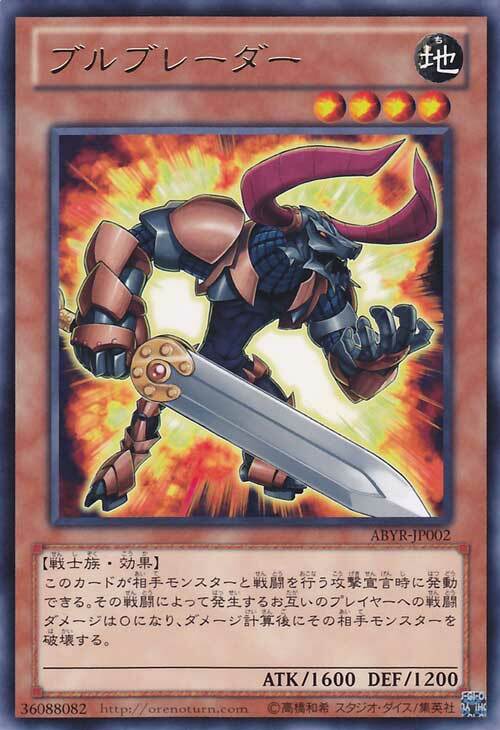 When this card without Xyz Material is selected as attack target, you can select 2 Monster in your Graveyard, and place them under this card as Xyz Material. Also, if your opponent controls a monster with higher ATK than this card, by removing 1 Xyz Material from this card during your Main Phase, this card can attack your opponent's Life Points directly during this turn. -_- This is the type of card thats a masochist and wants to be abused, but im not sure if there are any good level 9 monster to use for him, i will have to look it up. Once per turn, you can activate this effect by selecting 1 Xyz Monster your opponent controls. This card is treated as having the same name as the selected monster, and it's ATK becomes the same as that Monster's ATK and it gains that Monster's effect(s). Afterwards, the selected Monster's ATK becomes 0 and it has its effect(s) negated. The effect of this card is applied until the End Phase. EFFECT: Activate by selecting 2 Monster you control with 1000 ATK or less and the same Type. The Level of the selected Monsters becomes the sum of selected monster's respective Levels. EFFECT: Activate by selecting 2 "Heraldic Beast" Monster in your Graveyard. 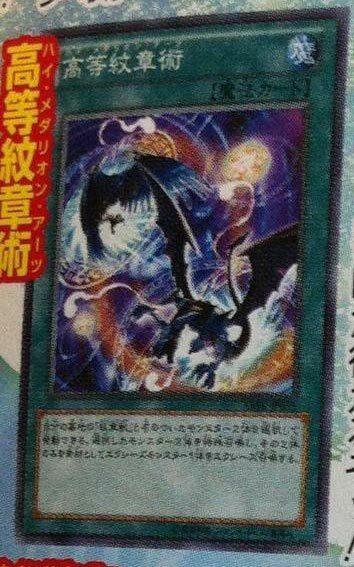 Special Summon the 2 selected monster, and Xyz Summon 1 Xyz Monster with exactly those 2 monster as Xyz Materials. EFFECT: You can activate this card if your opponent's Life Points are 2000 or less. Your opponent's Life Points become 8000, and draw 2 card from your deck. Only 1 "Heroic Gift" can be activated per turn. Why would i ever use this card? ikr its like why even make the card like anyone is going to use it. lol i doubt it will get banned when it comes out, konami would never do that. i looked at the level 9 monsters and there is not a lot to chose from, right now its not that practical or easy to get out, but we will see in the future. @iNubz also i think their is a lot of answers for yubel nowadays with makes terror even harder to get out. yeah spellbooks do have a good chance but i think they most likely will go for something else since they have a wide range of what they can do, gagaga kaiser could also make it easier, ditch a level 9 remove and then continue with shenanigans. I swear to all the gods that ever were that I am the slowest typist in the history of history. This card cannot attack if you do not control another "Gagagagagagagagagagagagagagagaga" monster. Once per turn: You can banish 1 monster from your Graveyard; have the Level of each "Gagagagagagagagagagagagagaga" monsters you currently control become that banished monster's Level. 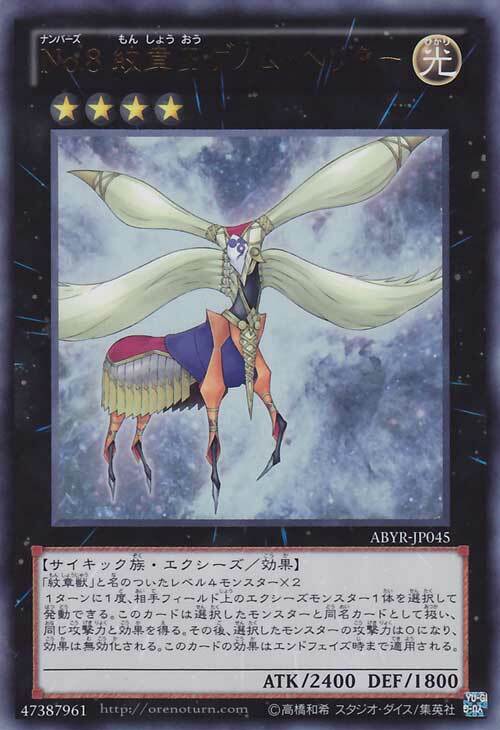 This card cannot be used as a Synchro Material Monster. One of only 3 Level 3 monsters with 1800 ATK, and about as useful as any of them if used singly. It can be searched by RotA, but meh. When an attack is declared involving this card and an opponent's monster: You can make neither player take Battle Damage from this battle, and after damage calculation, destroy the monster this card battled. 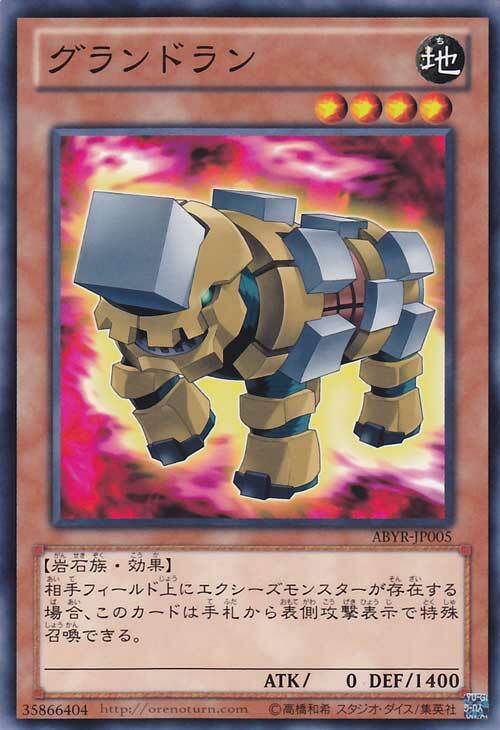 It's listed as a Warrior when it should be a Beast or a Beast-Warrior, but then I see where Konami snores. As for this card, it's a fine swashbuckling specimen -- before Mole was released. Nothing wrong with it, and if RotA ever returns to 3 it might see some play, but not now. 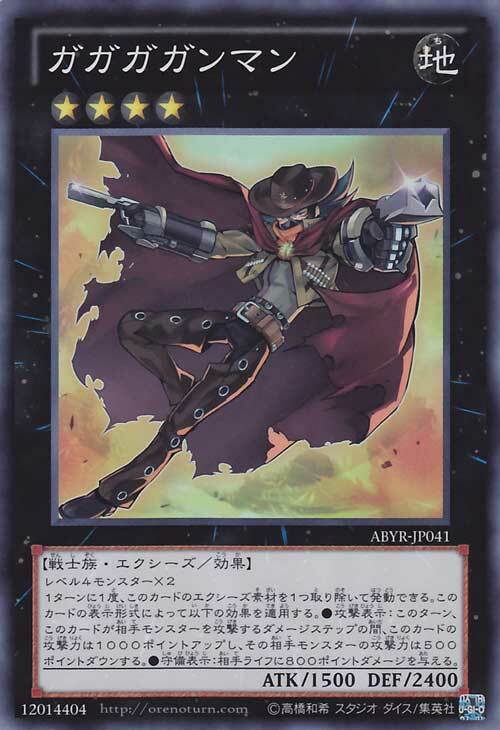 When this card on the field is destroyed and sent to the Graveyard: You can Special Summon this card from the Graveyard in face-up Defense Position. 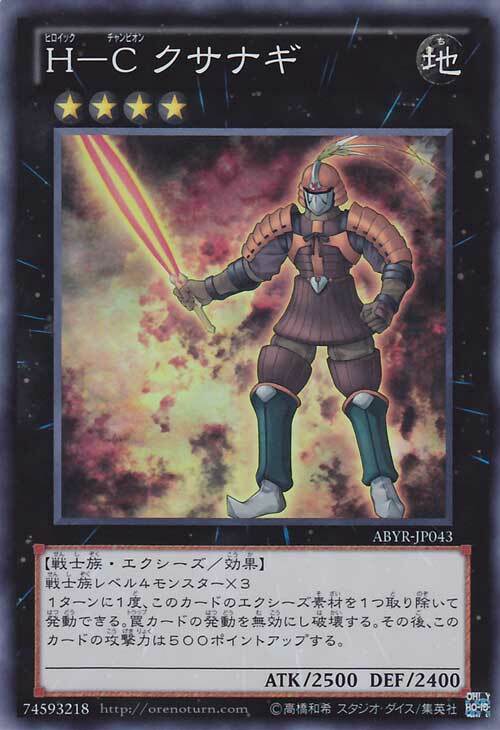 Each player can only use the effect of "Mogumole" once per Duel. Oh, a watered-down Twin-Headed Behemoth. How perfectly uninteresting. 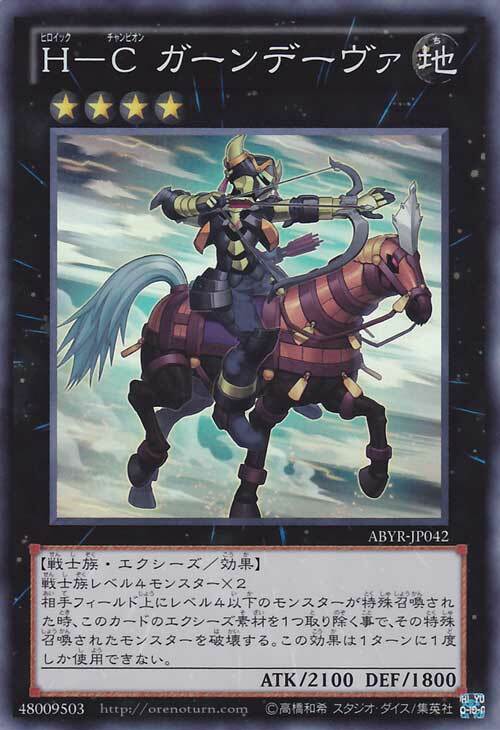 If your opponent controls an Xyz Monster, you can Special Summon this card (from your hand) in face-up Attack Position. It is a fine little Guldfaxe that lends itself into a speedy Rank 4, but hardly supported. Once per turn: You can discard 1 WATER monster to the Graveyard to target 1 monster in either Graveyard; return it to either the top or bottom of the Deck. 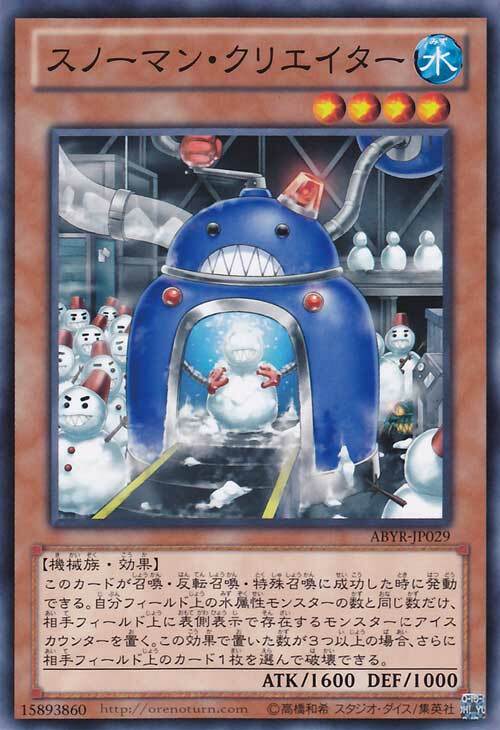 When this card is Summoned: You can distribute Ice Counters equal to the number of WATER monsters you control among your opponent's face-up monsters, and if you distribute 3 or more, you can destroy 1 card your opponent controls. It could've been better if it destroys whenever there are at least 3 Ice Counters, not whenever it can distribute 3, but then I'm not Konami, which feels the need to undermine the playability of underpowered cards. Once per turn, when this face-up card on the field changes its Battle Position: You can send 1 WATER monster from your Deck to the Graveyard. ... why do they keep making complete and utter freaking bullcrap? Does every booster pack have to have at least twenty head-scratching mediocrities alongside maybe 1 excellently designed masterpiece? 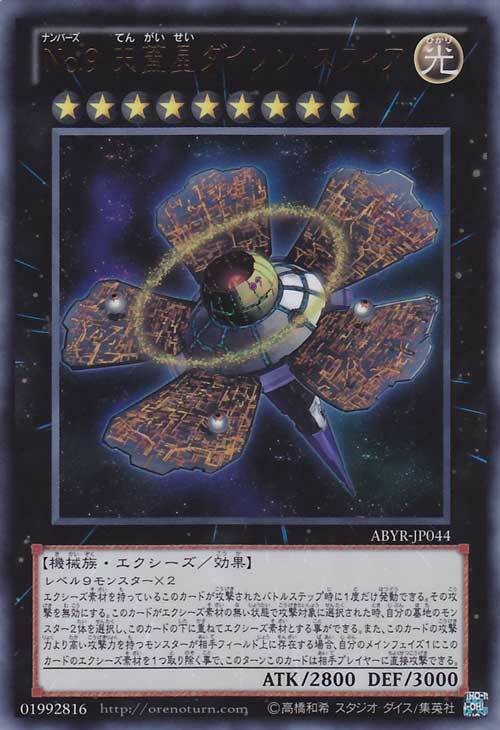 You can detach 1 Exceed Material from this card to target 1 face-up Exceed Monster your opponent controls; this card's name becomes that target's name, and it gains that target's effect(s). This effect can only be activated once while this card is face-up on the field. This card was one less Exceed Material requirement -- and the appropriate adjustments for 2-material Rank 4 Exceeds -- from being a decent anti-Exceed specialist. Which really is sad -- can you imagine the shenanigans? 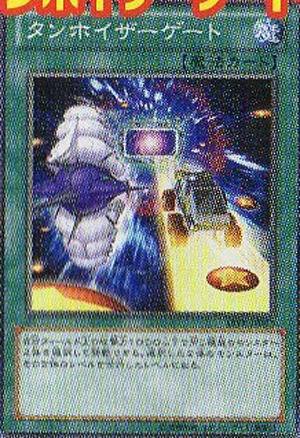 Once per turn: You can detach 1 Exceed Material from this card; apply 1 of these effects depending on this card's battle position. ● Attack Position: This turn, during the Damage Step only, if this card attacks an opponent's monster, it gains 1000 ATK, and the attack target loses 500 ATK. Allow me to say something in fav-- no, Maestroke is better. Next. Once per turn, when a Level 4 or lower monster(s) is Special Summoned to your opponent's side of the field: You can detach 1 Exceed Material from this card; destroy that monster(s). So, unless you have a Warrior fetish or something, why would you run this over Steelswarm Roach? Once per turn, when a Trap Card is activated: You can detach 1 Exceed Material from this card; negate the activation, and if you do, destroy it, then this card gains 500 ATK. Is it too much to say this is the weakest of the 3-material Rank 4 Exceeds? 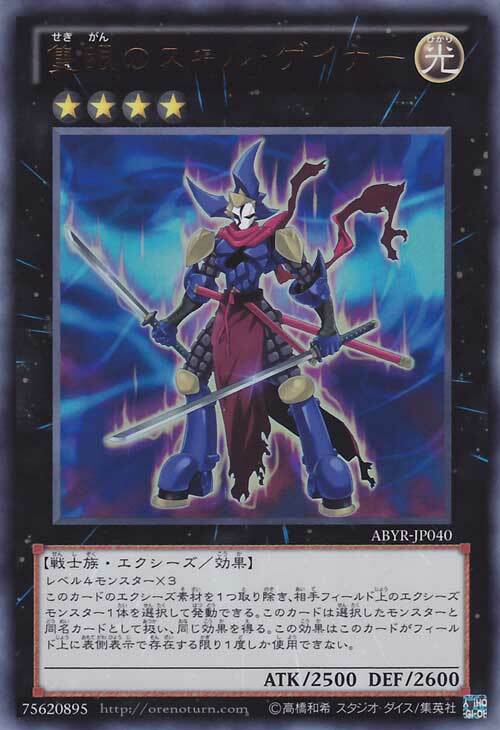 Once per Battle Step, during either player's turn, when this card is targeted for an attack, while it has an Exceed Material(s): Negate that attack. When this card is targeted for an attack, while it has no Exceed Material: You can target 2 monsters in your Graveyard; attach those targets to this card as Exceed Materials. During your Main Phase 1, if your opponent controls a monster whose ATK is higher than this card: You can detach 1 Exceed Material from this card; this turn, this card can attack your opponent directly. Never mind how to summon this card with the scarcity of Level 9 monsters in this game -- why are you even going to summon it in the first place? Once per turn: You can target 1 face-up Exceed Monster your opponent controls; until the End Phase, this card's name and ATK become that target's name and ATK, and it gains that target's effects. Also, until the End Phase, that target's ATK becomes 0, and its effect(s) is negated. Once again, the reality is far more sober than the fiction. I am disappoint. I mean, expected something that would get rid of opposing monsters' names, not this... whatever this is. Target 2 face-up monsters you control with 1000 or less ATK and the same Type; the Level of each target becomes equal to their combined Levels. Exceeding the right way, anyone? I mean, it can be hard to wean oneself off TGU or Rescue Rabbit or Wolfbark, but it can be done. Oh, and Machine Duplication shenanigans! Target 2 "Heraldic Beast" monsters in your Graveyard; Special Summon those targets, then Xyz Summon 1 Xyz Monster using exactly those cards as Xyz Material. ... wait, are we such babies we can't do an Exceed Summon ourselves after using this? Seriously, Konami, what gives? If your opponent's Life Points are 2000 or less: Your opponent's Life Points become 8000, then draw 2 cards. You can only activate 1 "Heroic Gift" per turn.